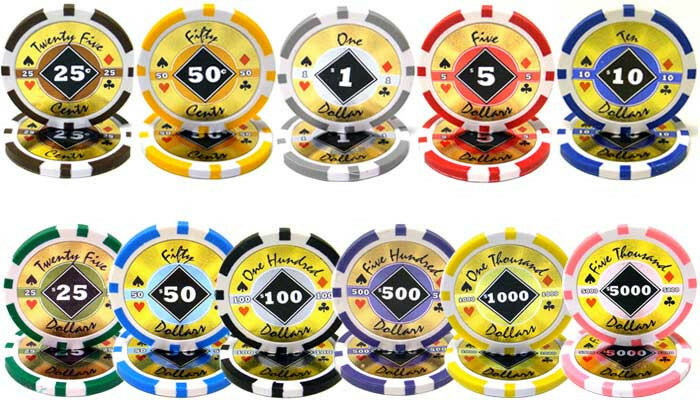 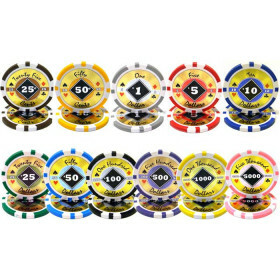 Grab a high quality, convenient poker chip set and upgrade your home game to a true casino experience. 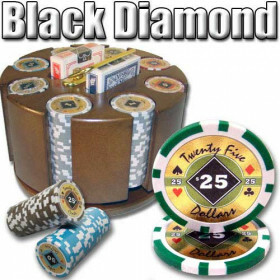 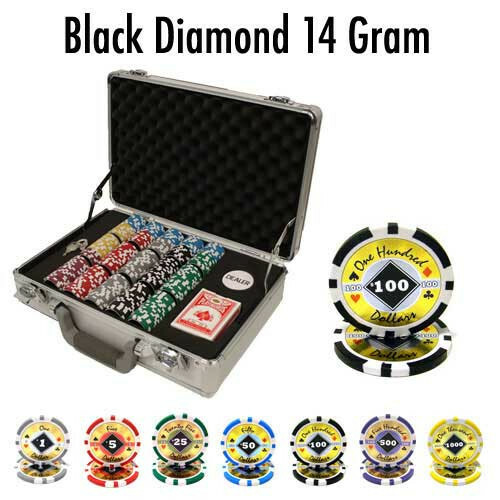 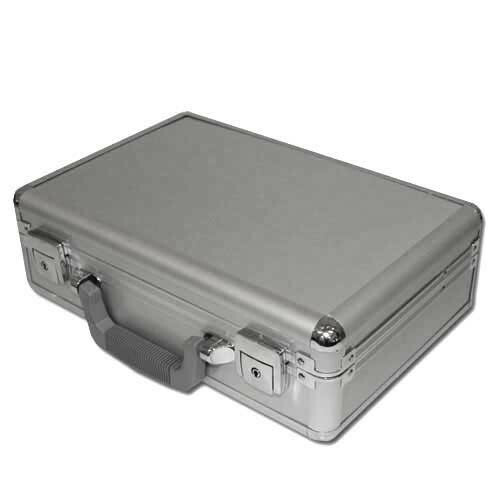 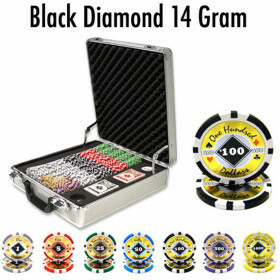 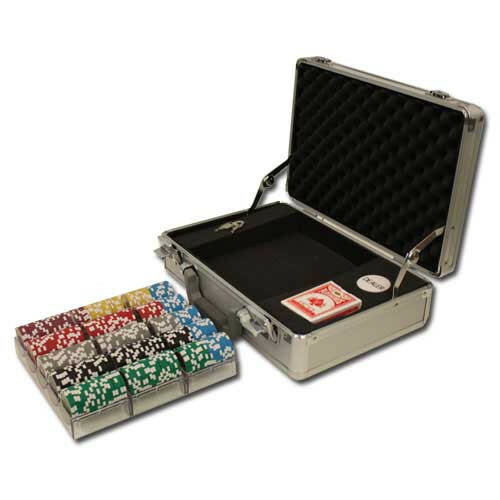 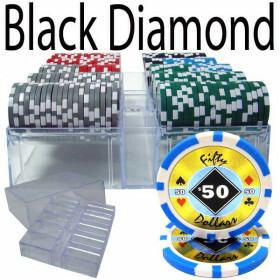 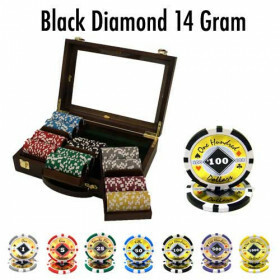 This 300pc Black Diamond poker chip set features a custom Claysmith Gaming aluminum storage case with removable chip trays that you can take to the table. 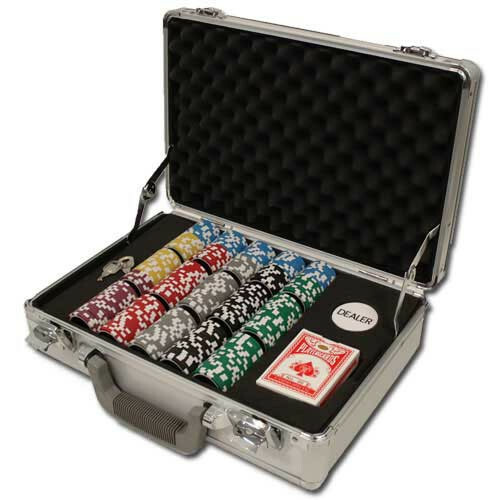 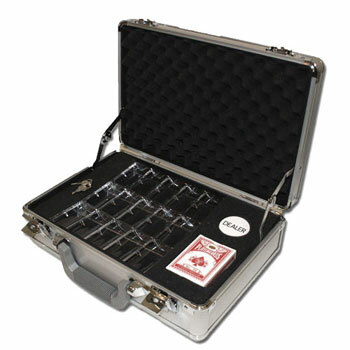 300 Black Diamond poker chips in a custom Claysmith Gaming aluminum carrying case with removable chip trays. 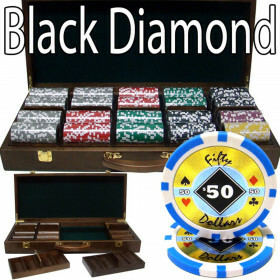 You also get a deck of playing cards and a free dealer button to finish off your set. 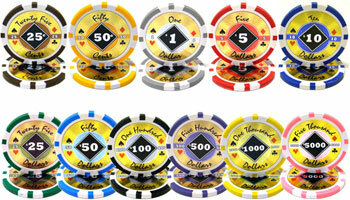 Turn an Ordinary Poker Night Into a Fun and Exciting Casino Experience!